Home/Can Regenerative Medicine Heal Your Pain? State-of-the-art spine, sports, and regenerative procedures are revolutionizing the approach to injury management and rehabilitation by focusing on improving tissue health at a cellular level. Dr. Daniel Sheehan explains how acute and chronic BACK and NECK pain can be healed, without surgery, even when other treatment methods have failed. Are you curious if it can help you? 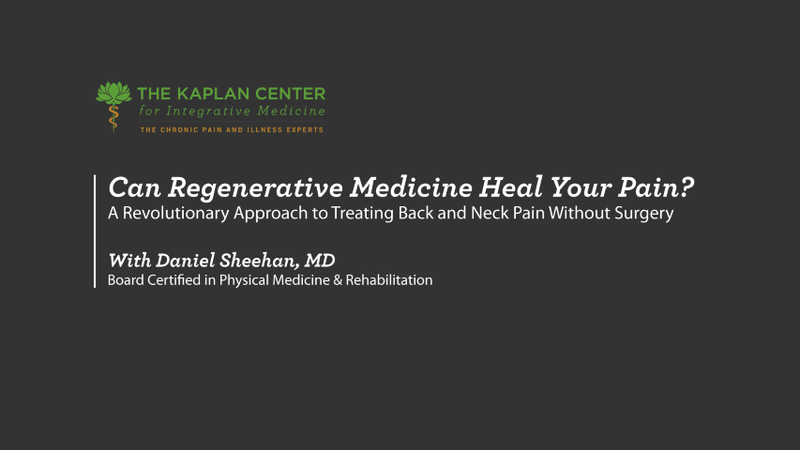 Watch Dr. Sheehan, a Harvard trained expert in regenerative injection therapies, explain how Prolotherapy, Platelet Rich Plasma, or Stem Cell Therapy could eliminate the need for back or neck surgeries for many patients.